A multitude of legislative issues remain unresolved in the wake of Congress's impending summer recess. One act that is likely to go without reauthorization is the Higher Education Act (HEA), making this its tenth straight year without reauthorization. 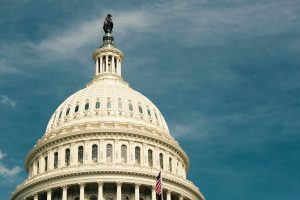 The act, responsible for regulating student loan payments and Pell, Title III, and Title V grants, has been authorized eight times since its initial passage to ensure funding for its current programs, with the act initially expiring in 2013. With its expiration deadline extended to 2016, its effort to reauthorize that year led to its failure due to a divide between the bi- partisan efforts of the Senate versus the partisan efforts of the House. Members from both parties have indicated that reauthorization of the HEA is not a top priority, with conversations instead monopolized by issues like health care and tax reform. Many higher education leaders cite this overlook as a missed opportunity to address key issues like affordability, accreditation, access, campus safety, and sexual assault. In addition, proposed changes to the current reauthorization iteration, the PROSPER Act, would change how organizations approach grantseeking. Creating an incentive for accelerated study, the act would award a $300 Pell Grant Bonus per year to full-time students and uphold the current funding structure for the Pell Grant program, leaving many to regret the missed opportunity to further support students. While many of these proposed revisions touch on previous bi-partisan efforts, multiple arguments are being made by both sides of Congress, the think tank community, and within higher education as a whole. While these changes may benefit first-time applicants, it will also increase competition in an already challenging environment for federal submissions. Additionally, the adjusted requirements for “high-quality service delivery” and the replacement of prior experience for “accountability for outcomes” is a new challenge for institutions who have to collect and demonstrate a case for success through data. PROSPER also proposes adjustments to the language found in Title III of the HEA. Specifically, future submissions may have to focus more heavily on outcomes, career and technical education, and partner secondary school programs in order to be competitive.